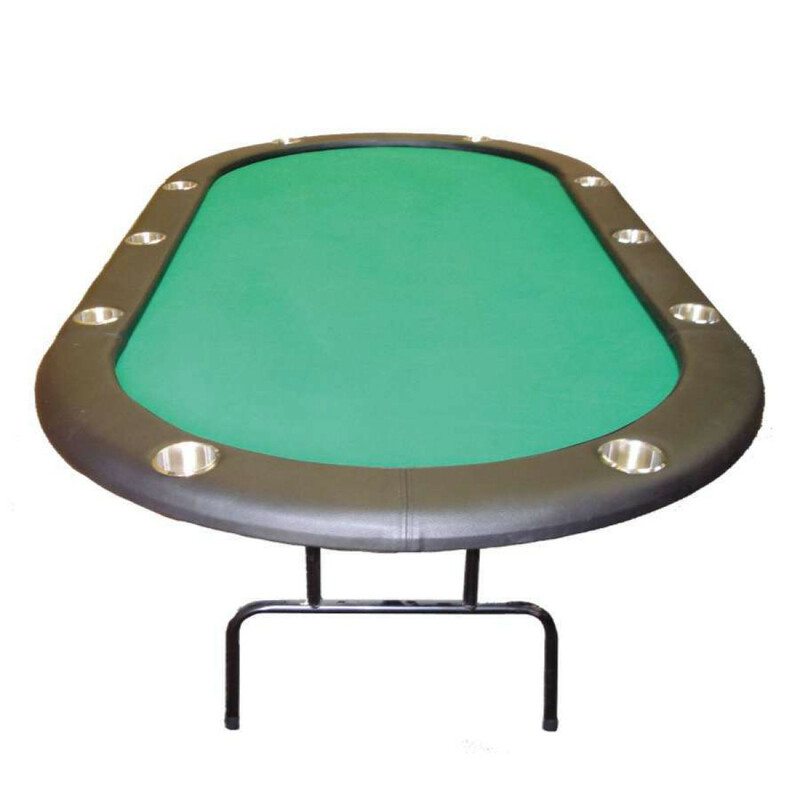 This is our Monaco Poker Table with Green casino quality felt with stainless steel cup holders and steel suported folding legs. The table has a rail with extra thick foam padding with stainless steel cup holder that enhances the luxurious look of this poker table. 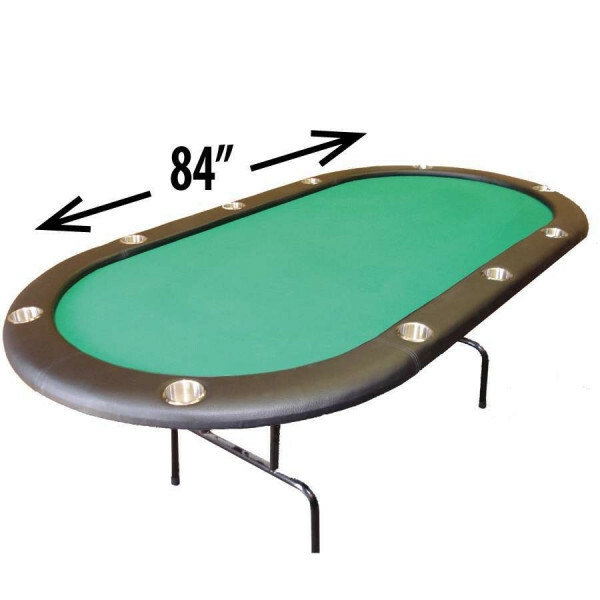 This poker table was designed by our staff here at Straight Poker Supplies. We added super strong steel support bars to ensure that this table never bows and never buckels no matter how big your poker buddies are. 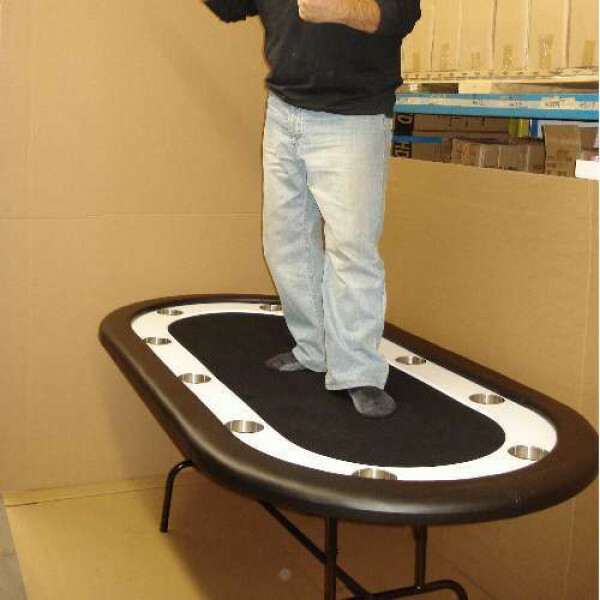 Table requires no tools or bolts for assembly. 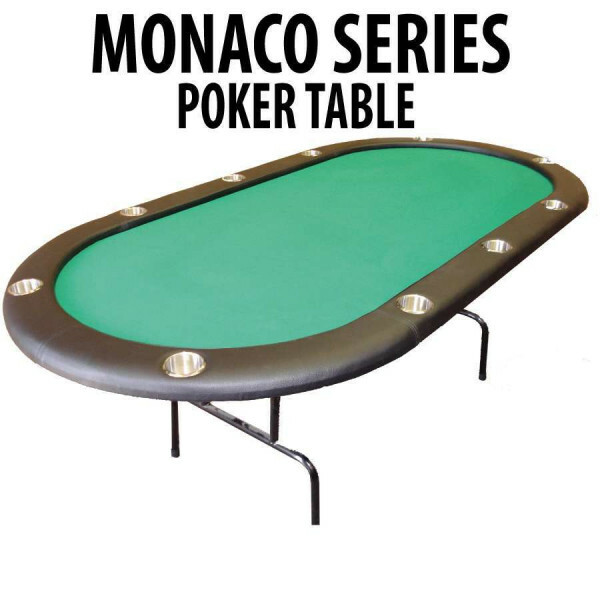 Simply unfold the legs, pop in the stainless steel cup holders and you are good to go. 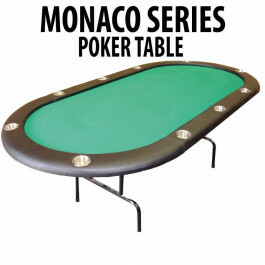 The playing surface is also padded to reduce chip bounce and minimize messy pots. 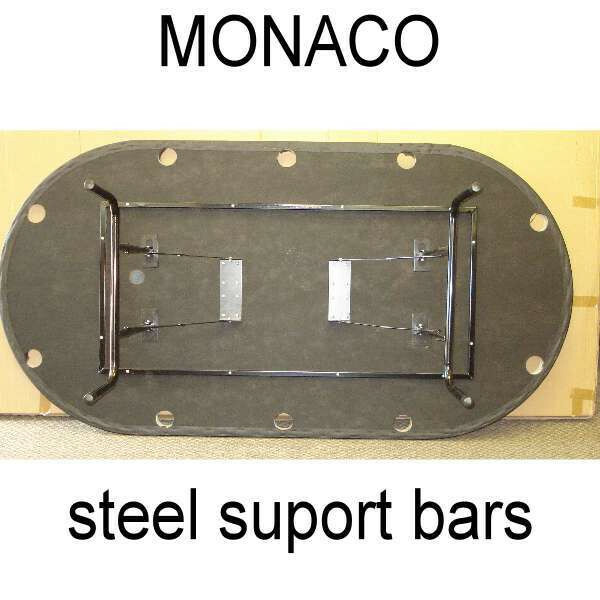 It has a soft and smooth feel. You will require a truck, van or large SUV to pick up this item.